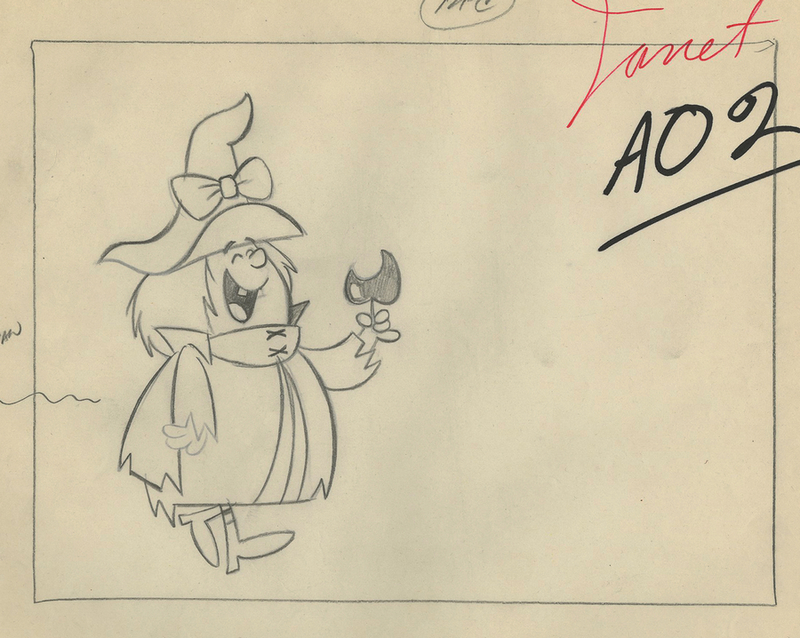 This is an original layout drawing from the Hanna Barbera Studios production of the 1965 Winsome Witch episode, Prince of a Pup. 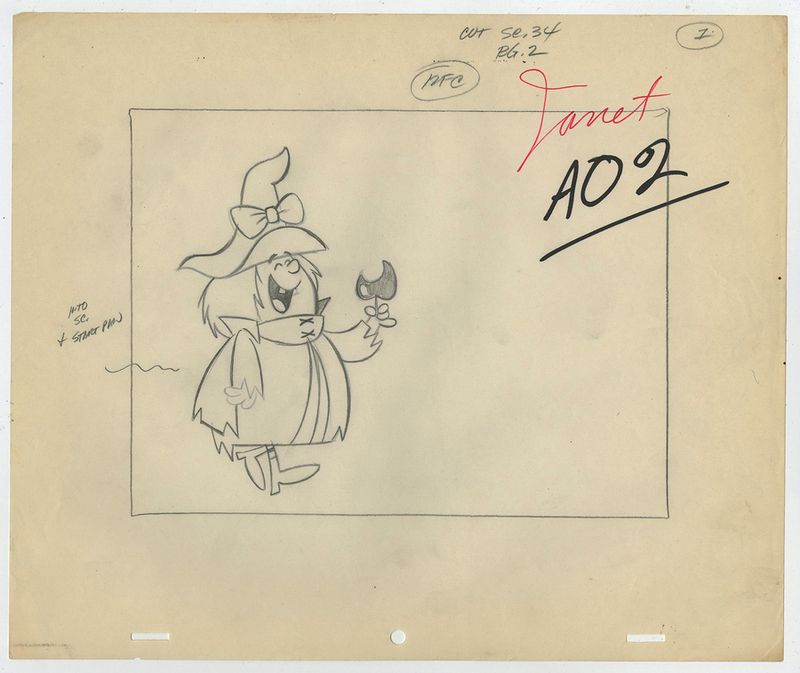 This layout drawing features Winsome Witch and was created at the studio and used during the production of an episode in the series. The overall measurements of the piece are 10.5" x 12.5" and the image itself measures 5.5" x 8". 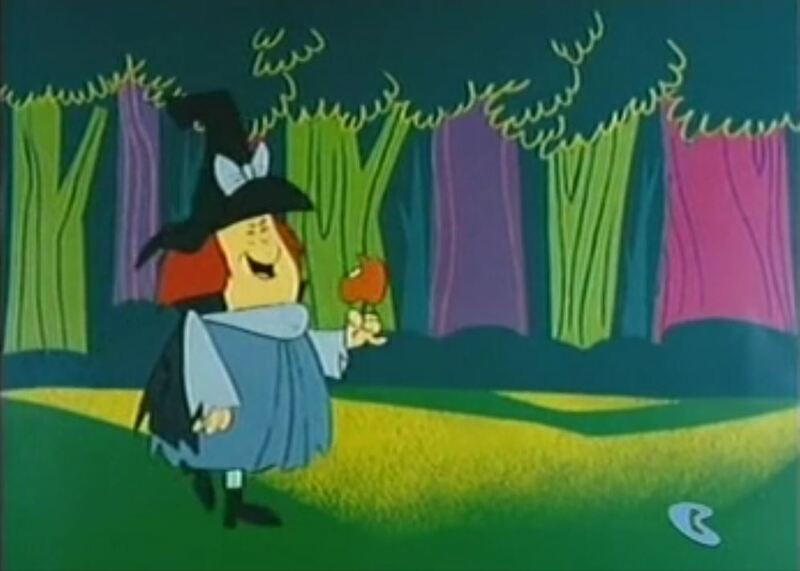 The third image shown is a screen grab from the scene that this drawing was used to create, it is for reference only and is not an actual physical print included with the drawing.